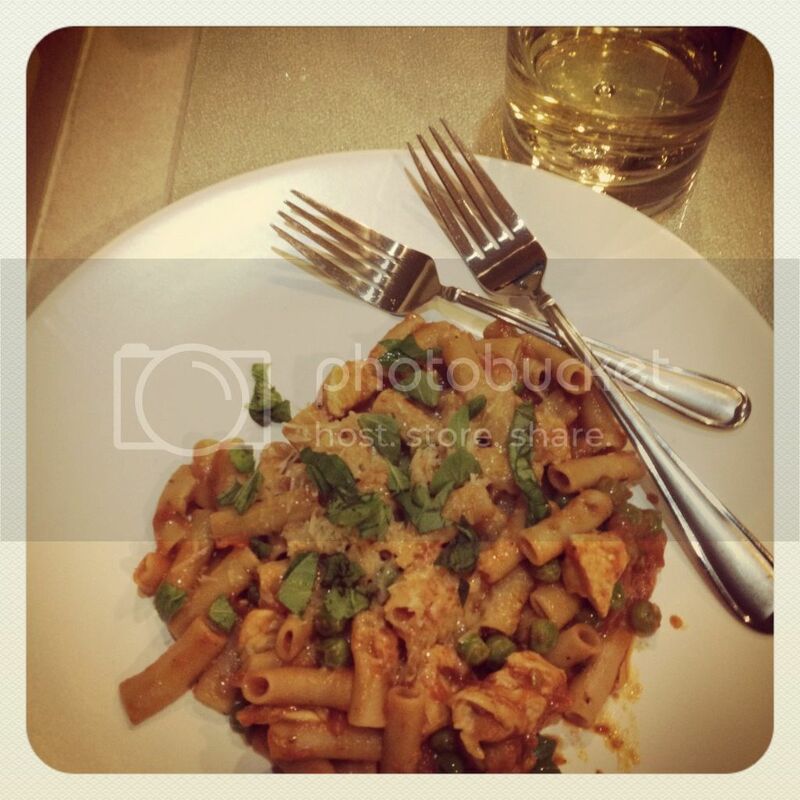 This is a recipe I featured in last week's Friday Favorites, and was originally called Spicy Chicken Rigatoni. It's a Buca Di Beppo knock-off recipe and it was so very easy to make. It was a little spicy, but you can always adjust the seasonings to your own taste. I would just halve the red pepper flakes, or add just a small sprinkling, and don't add any at the end. I made a few adjustments to my recipe, so if you would like to see the original recipe you can find it here. This turned out really well and was even better the next day as left overs. Definitly going to be added as one of my go-to recipes! 1. In a saute pan, heat oil over medium heat. Add crushed red pepper, salt, black pepper and garlic. Saute just long enough for garlic to caramelize and red pepper to release flavor into the oil. Add the chicken and coat with the sauces. Saute until brown. 2. Add the marinara/cream sauce and bring to a simmer. Cook until the sauce thickens slightly and the chicken is completly cooked. Add the frozen peas and simmer until the peas are heated up. 3. Stir in your cooked pasta. I then garnished with some parmesan cheese and fresh basil and oregano. We ate this at Buca during our rehearsal dinner! This version sounds tasty!